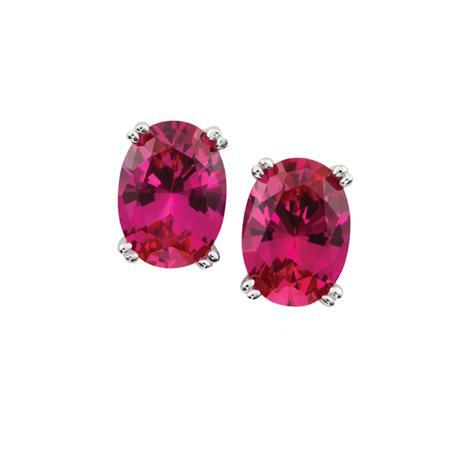 Delight someone special with the gorgeous look of rare red diamonds for a fraction of the cost. Our secret weapon? Science. Our exclusive lab-created DiamondAura is hard enough to cut glass and retains every jeweler's specification including color, cut, clarity and carat weight. According to the book Jewelry and Gems ” The Buying Guide the technique used in DiamondAura offers, "The best diamond simulation made to date, and even some jewelers have mistaken these stones for mined diamonds." The effect is a clear, flawless marvel that looks even better than and has more fire than mined diamonds and emeralds. The only thing missing is a lot of zeros.